Food Prep Sunday – How to do weekly food and fridge preparation. I spend a few hours every Sunday prepping for the week. It’s something I really look forward to. Coffee, music, chitter chatter with the kids. The purpose: NOT relying on convenience food-regardless of what happens during the busy week. ■ I no longer use “Almond Breeze”. It contains carrageenan (Google it). “Silk” brand uses non-GMO almonds, & is carrageenan free. There are wonderful organic brands available at health stores-OR make your own. ■ I assemble 8-10 complete meals in containers: chicken breast, organic steamed broccoli/brussels, brown rice…or something similar, so that a nutritious meal is always within reach. 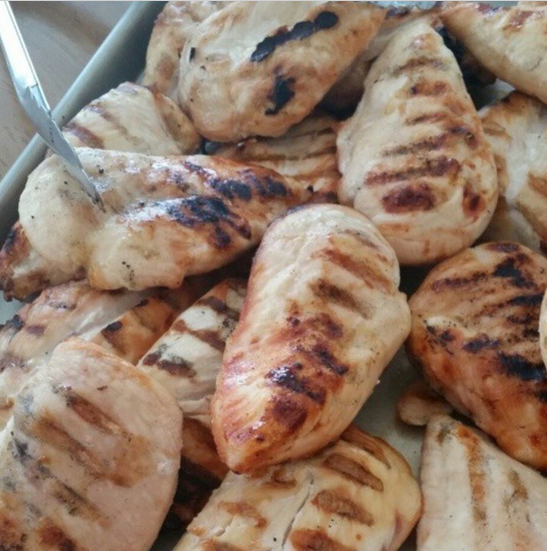 ■ Grill or bake a ton of hormone free chicken breasts. 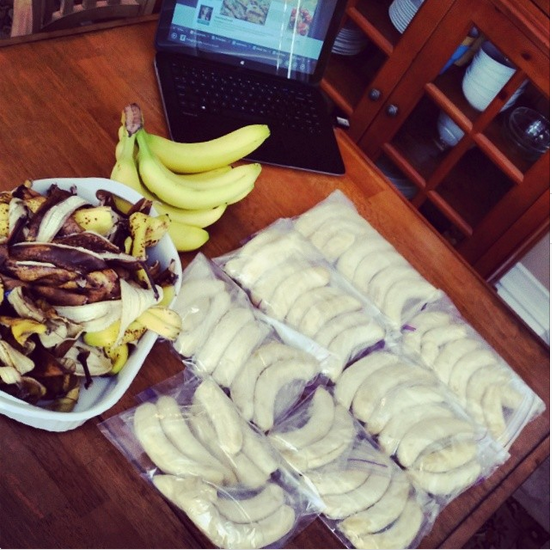 (I have 4 kids) Freeze half, place the other half in single baggies for quick meals. ■ I like to bake halibut or salmon while my chicken is on the grill. Fish goes into a large glass sealed container, to be eaten within 48 hours. ■ I boil 4 dozen eggs. This makes mornings easy! Try pre-peeling the shells to make it even simpler! My fam goes through a dozen most days! ■ Green Tea is pre-brewed & refrigerated in a glass sealed container. ■ I rinse berries & store in glass jars (let air dry first). I have found that if the berries/grapes are truly ready to grab & eat, we use them faster. I’m more likely to throw them on oatmeal, or as a snack if they are ready. 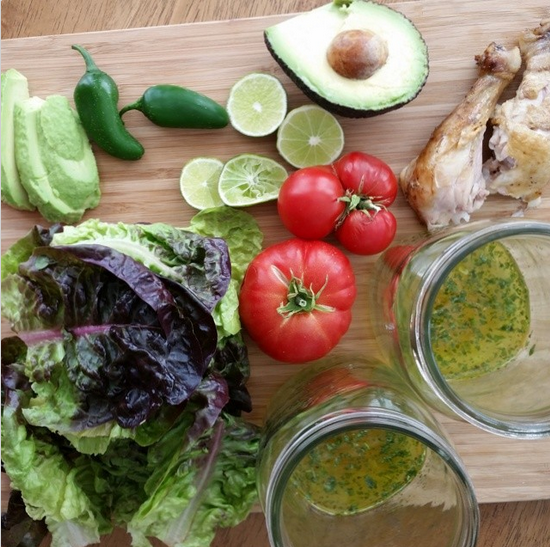 ■ “Glass Jar Salads” Prep & EAT for 5 days! Ingredients must be dry. Moisture is the enemy. Vinaigrette at the bottom-chopped veggies in the middle/greens on top. Folded paper towel at the very top (before lid) absorbs moisture. ■ Pre chop or dice celery, cucumber, zucchini, peppers, carrots, green beans, etc. Quick meal prep all week! ■ Sliced lemon wedges-always ready to use, we love lemon on everything! 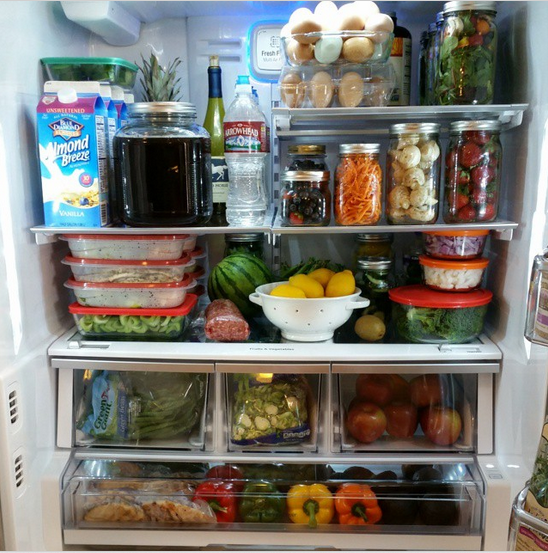 ■ In the freezer you will find: An entire shelf of frozen/peeled bananas (smoothies & banana ice-cream), frozen fruit, frozen grapes for snacks, berries, frozen broccoli, frozen green beans. Frozen precooked shrimp (stir fry in minutes) Frozen cooked & shredded chicken (soup & chicken tacos). Ground lean turkey (precooked). Salmon filets. Hope this gives you an idea or two! Bring on 20-15!!! Pin this big image below to Pinterest! It’s the perfect time of the year for this!